Bookvip - This company is a scam and full of lies!! First and foremost, please be reminded that, as you are already aware, you have 12 months to use your full store credit towards any BookVIP promotion for which you are eligible. It is disappointing that you were not eligible for the promotion offered by your preferred resort. 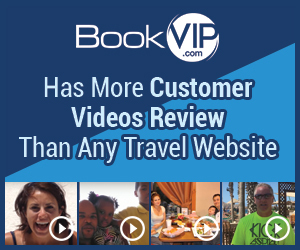 However, it is the participating resort provider who sets forth the eligibility requirements for the promotional packages since they are paying the 70% discount on behalf of qualified guests not BookVIP.com. BookVIP is a booking company and it is our job to ensure that guests are qualified for the limited number of promotional packages being offered by the resort providers. Although your partner informed the sales representative that you did not have matching addresses on your I.D.’s, you were correctly advised that the resort would accept the bank statement and the utility bill as proof of cohabitation. The problem is that you have not lived together for 6-months or more (as is clearly stated in the Reservation Details you agreed to in writing). We send over 500,000 people on vacations each year and the only issues we have is when customers try to circumvent the resort's requirements. All the Terms & Conditions of the offer are listed at the bottom of each web page as they are slightly different for each. The reason why we have over 3.6 Million Facebook Likes, more customer video reviews and sent over 500,000 people on vacation this year alone is because we are the worldwide leader in promotional packages - that's our specialty. If you meet the resort's requirements and agree to attend the resort preview, you will receive the promotional rate. My name is Brandy King, I booked with you guys July 11, 2017. I told the representive that could barely speak English that me and my spouse DID NOT have matching IDS, I was told he could use his bank statement and I could use a utility bill. Now they are saying I can't use either bc both ids had to match. These representives need better training instead of telling you lies. Now I'm screwed $474 bc I was told everything g would be ok if I had the matching documents. The supervisor listened to the recording and also heard the same statement I was told, but still can't get my money back. I WILL be getting a lawyer for this and as well as broadcasting this on social media and every website that I can post this to. It's funny how it won't let you post bad reviews on your main web page. This is wrong for taking hard working Americans money after being lied to. I would not be able to sleep at night for doing this to people. You will weep what you soe!!! And this will come back to you 10 times worse. Read your bible you thief!!! I feel sorry for you!!! Review #1077820 is a subjective opinion of User1077820.